The need for performing impact analysis is obvious for major enhancements. However, unexpected complications can work below the surface of even minor change requests. A consulting client of mine once had to change the text of a single error message in its product. What could be simpler? The product was available in both English and German language versions. There were no problems in English, but in German the new message exceeded the maximum character length allocated for error message displays in both the message box and a database. Coping with this apparently simple change request turned out to be much more work than the developer had anticipated when he promised a quick turnaround. Impact analysis is a key aspect of responsible requirements management. It provides accurate understanding of the implications of a proposed change, which helps the team make informed business decisions about which proposals to approve. The analysis examines the proposed change to identify components that might have to be created, modified, or discarded and to estimate the effort associated with implementing the change. 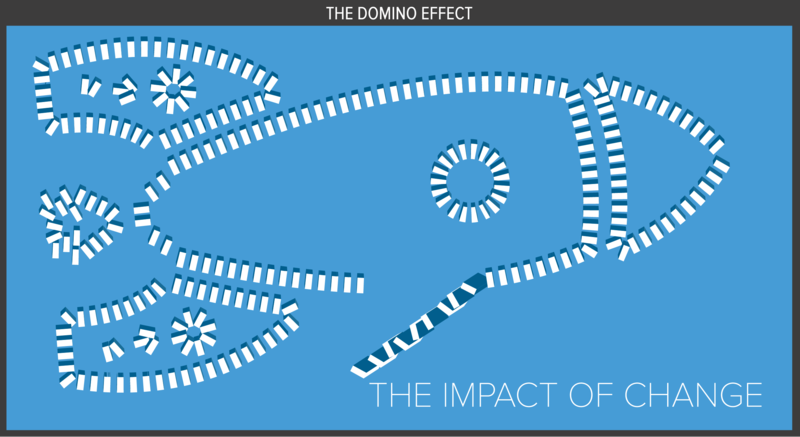 Skipping impact analysis doesn’t change the size of the task. It just turns the size into a surprise. Software surprises are rarely good news. Before a developer says, “Sure, no problem” in response to a change request, he or she should spend a little time on impact analysis. This article, adapted from my book Software Requirements, 2nd Edition (Microsoft Press, 2003), describes how the impact analysis activities might work. Understand the possible implications of making the change. Change often produces a large ripple effect. Stuffing too much functionality into a product can reduce its performance to unacceptable levels, as when a system that runs daily requires more than 24 hours to complete a single execution. Identify all the files, models, and documents that might have to be modified if the team incorporates the requested change. Identify the tasks required to implement the change, and estimate the effort needed to complete those tasks. 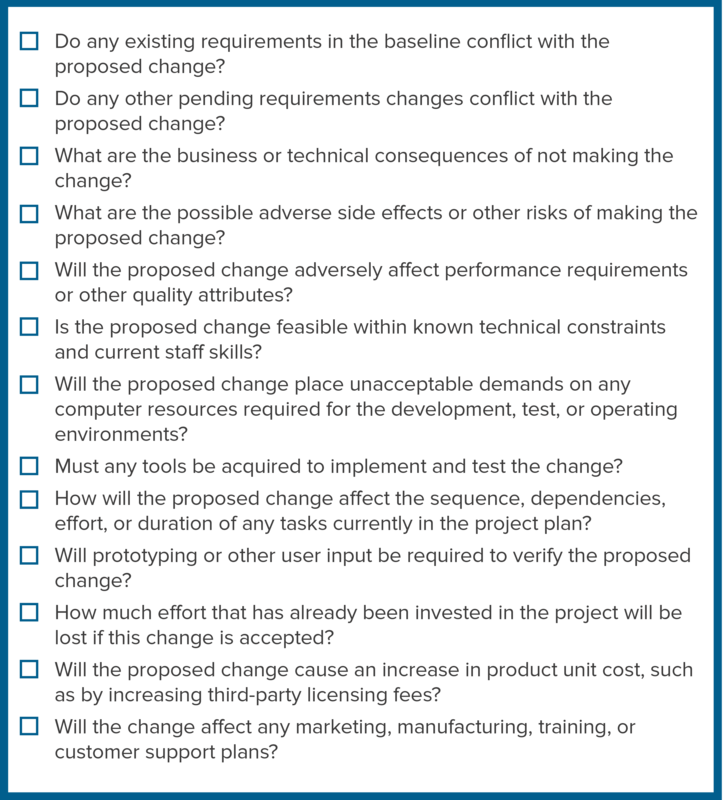 Figure 1 presents a checklist of questions designed to help the impact analyst understand the implications of accepting a proposed change. (You can download the checklists and templates described in this article from http://www.processimpact.com/goodies.shtml.) 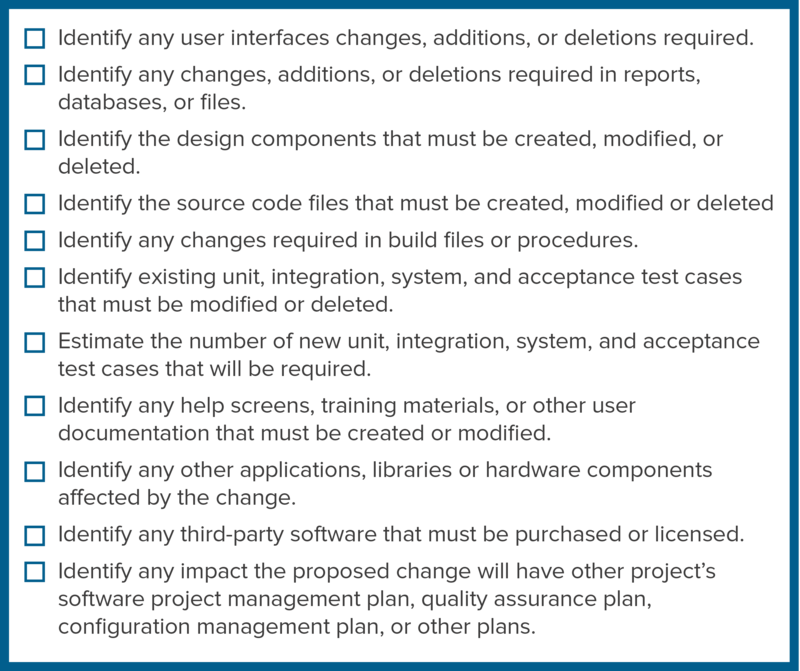 The checklist in Figure 2 contains prompting questions to help identify all of the software elements that the change might affect. Traceability data that links the affected requirement to other downstream deliverables helps greatly with impact analysis. As you gain experience using these checklists, modify them to suit your own projects. Checklist of possible implications of a proposed change. 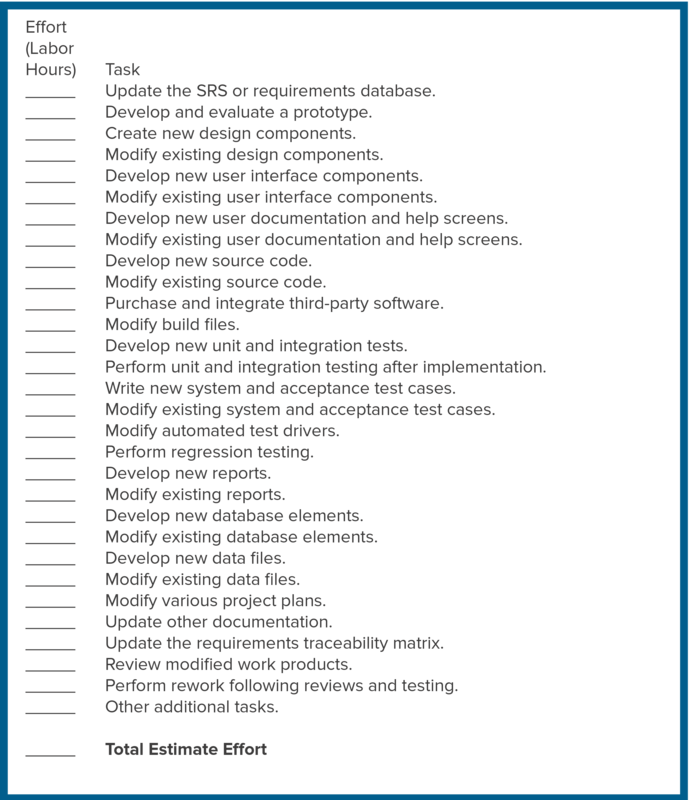 Checklist of possible software elements affected by a proposed change. Following is a simple procedure for evaluating the impact of a proposed requirement change. Many estimation problems arise because the estimator doesn’t think of all the work required to complete an activity. Therefore, this impact analysis approach emphasizes comprehensive task identification. For substantial changes, use a small team—not just one developer—to do the analysis and effort estimation to avoid overlooking important tasks. Work through the checklist in Figure 1. Work through the checklist in Figure 2, using available traceability information. Some requirements management tools include an impact analysis report that follows traceability links and finds the system elements that depend on the requirements affected by a change proposal. Use the worksheet in Figure 3 to estimate the effort required for the anticipated tasks. Most change requests will require only a portion of the tasks on the worksheet, but some could involve additional tasks. Identify the sequence in which the tasks must be performed and how they can be interleaved with currently planned tasks. Determine whether the change is on the project’s critical path. If a task on the critical path slips, the project’s completion date will slip. Every change consumes resources, but if you can plan a change to avoid affecting tasks that are currently on the critical path, the change won’t cause the entire project to slip. Estimate the impact of the proposed change on the project’s schedule and cost. Evaluate the change’s priority by estimating the relative benefit, penalty, cost, and technical risk compared to other discretionary requirements. Report the impact analysis results to the CCB so that they can use the information to help them decide whether to approve or reject the change request. In most cases, this procedure shouldn’t take more than a couple of hours to complete. This may seem like a lot of time to a busy developer, but it’s a small investment in making sure the project wisely invests its limited resources. If you can adequately assess the impact of a change without such a systematic evaluation, go right ahead; just make sure you aren’t stepping into quicksand. To improve your ability to estimate the impacts of future changes, compare the actual effort needed to implement each change with the estimated effort. Understand the reasons for any differences, and modify the impact estimation checklists and worksheet accordingly. Estimating effort for a requirement change. Here’s a true story about what can happen if you don’t take the time to perform impact analysis before diving into implementing a significant change request. Two developers at the A. Datum Corporation estimated that it would take four weeks to add an enhancement to one of their information systems. The customer approved the estimate, and the developers set to work. After two months, the enhancement was only about half done and the customer lost patience: “If I’d known how long this was really going to take and how much it was going to cost, I wouldn’t have approved it. Let’s forget the whole thing.” In the rush to gain approval and begin implementation, the developers didn’t do enough impact analysis to develop a reliable estimate that would let the customer make an appropriate business decision. Consequently, the A. Datum Corporation wasted several hundred hours of work that could have been avoided by spending a few hours on an up-front impact analysis. 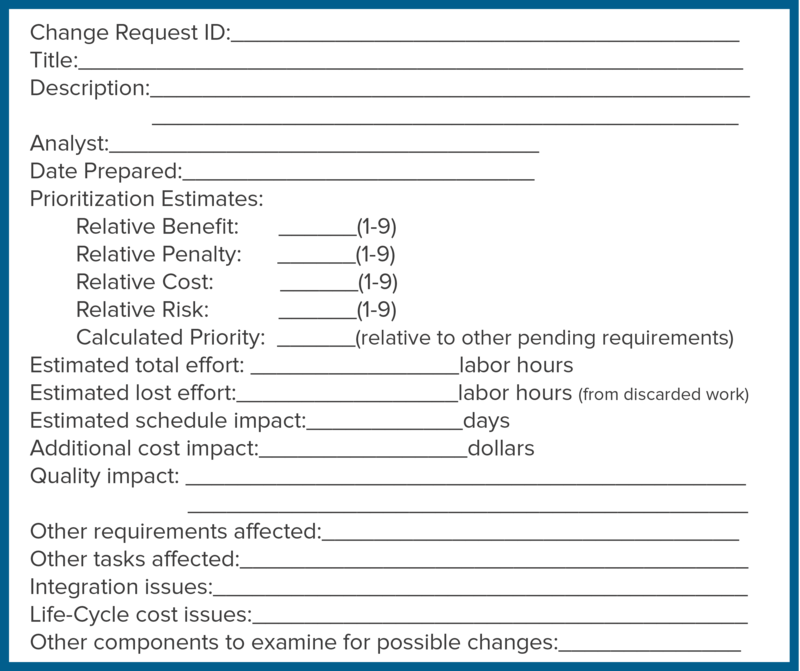 Figure 4 suggests a template for reporting the results from analyzing the potential impact of each requirement change. Using a standard template makes it easier for the CCB members to find the information they need to make good decisions. The people who will implement the change will need the analysis details and the effort planning worksheet, but the CCB needs only the summary of analysis results. As with all templates, try it and then adjust it to meet your project needs. Requirements change is a reality for all software projects, but disciplined change-management practices can reduce the disruption that changes can cause. Improved requirements elicitation techniques can reduce the number of requirements changes, and effective requirements management will improve your ability to deliver on project commitments.